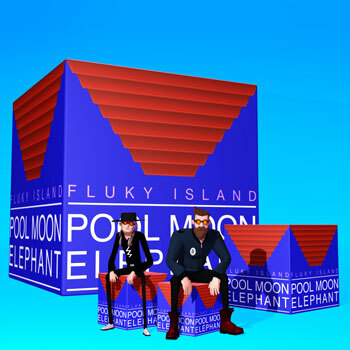 Released June 21 via the Symphonic Distribution label, “FLUKY ISLAND” is the brand new 5-track EP from electronic duo POOL MOON ELEPHANT. A storming journey through various rhythmic styles, combining the duo’s skills to create imaginative feel-good moments, the EP spearheads a new wave of indie dance electro-inspired tracks while embracing the love for warm synths, sparkling heights, gentle electric textures and deep drums. 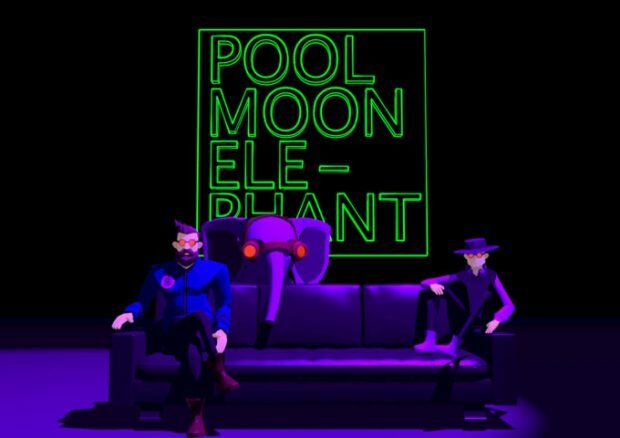 POOL MOON ELEPHANT is the moniker under which the Swiss electronic music duo composed of Riccardo Studer and Ivan Nurchis, undertake their creative journey through the electronic world of music and animation. Both have double-decade experiences in audio-visuals, and working for film and TV productions. There is no doubt that with their recent string of releases, POOL MOON ELEPHANT is branching out as the winds of dance music change direction. This isn’t a place of noise and found sounds, this new EP is a place of understated, creative energy and blissful sonic happiness. Right from the opening house track, “Ajendrez Club”, gentle washes of sound builds through the tracks and high pitched notes are picked out over undulating basslines; this is deep and melodic, built for big rooms and beach-front bars. 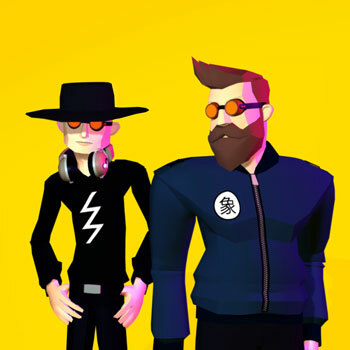 Gradually things get a touch chunkier, with tracks like “Island’s Eye” featuring thumping, rolling basslines and competing percussion lurking just below the surface. 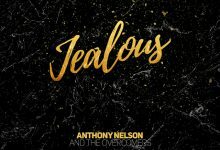 The electro house tune that follows – “Innercosmic Safari” carries along in the same vein, hitting a pumping bass and drum groove and sticking to it. There’s a classic house hi-hat and snare ticking away at the top of the register, pulling your arms and shoulders up to dance with it, while your feet and hips feel compelled to follow the low-slung bass right down to the floor. A few tracks develop an edge, a minor-key tension, as they circle around themselves, but there is no rawness here. Every tune is as smooth as the mixing, no room for raucous brutality or acid techno-style hectic-ness. If you let yourself go with it, these tunes are good enough to draw you in and up to their euphoric state. It’s a sound that transports you to dance-floors full of smiles rather than the usual screw faces and that is not a bad thing. POOL MOON ELEPHANT spin expansive, thinking people’s electronic music, as on the downtempo “Intemporal”. But there’s plenty of rhythm and melody to satisfy casual club-goers as well. There’s a hint of trance on “Egofriendly”, and POOL MOON ELEPHANT handles it all deftly, never pandering. There’s nary a dud among this collection of tracks, but the sweeping nu-disco number, “Island’s Eye” might be the highlight of a very strong set. The overall vibe of the “FLUKY ISLAND” EP is rhythmic and elegantly chill, yes. But has POOL MOON ELEPHANT gone soft? Hardly! Their sound has just become sweeter on the ear. Simply put, hype fades and substance endures. POOL MOON ELEPHANT are equally skilled at arranging and layering downtempo pieces as well as mixing club cuts. These consistently savory sonic collages are at once deeply personal and yet quite forward thinking with warm, lush textures brushing up against emotive, melodic house and trance – truly something to behold. POOL MOON ELEPHANT’s relentless appetite for new music injected this set with new sounds and with them, a profound sense of vitality and constant evolution. Their sonic diversity and range ensures that each performance on “FLUKY ISLAND” is a unique, lightning-in-a-bottle listening experience. JES: “Dreamweaver” (Roger Shah Remix) – soaks deeply into the fibers of your spiritual canvas!